Handmade nesting porcelain pouring pottery bowls set of four. Featuring tactile dimples instead of handles. Inside glazed in pale blue, turquoise, pink or grey. Available as a set of three or four. Handmade nesting porcelain pouring bowls, with a choice of three or four bowls. 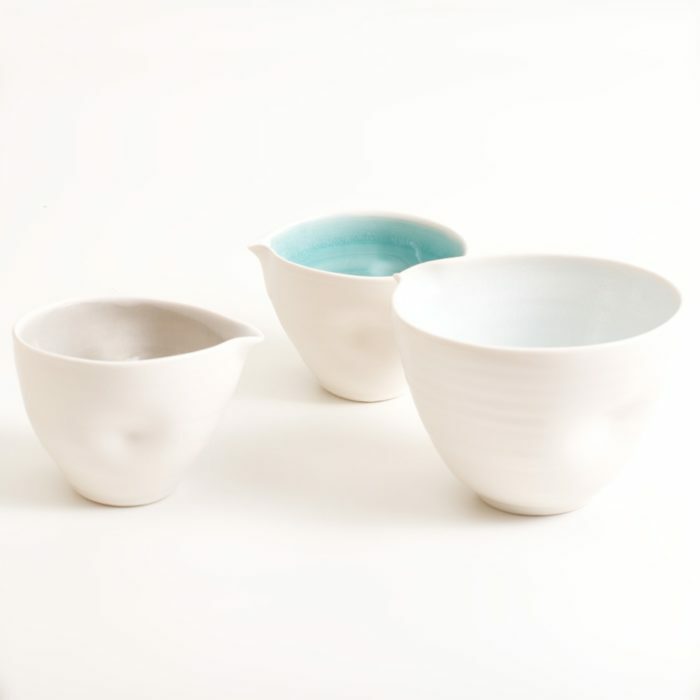 These dimpled bowls come in four colours: pale blue, turquoise, pink and grey. Handmade pouring pottery bowls that sit together in a nest, featuring tactile dimples instead of handles. 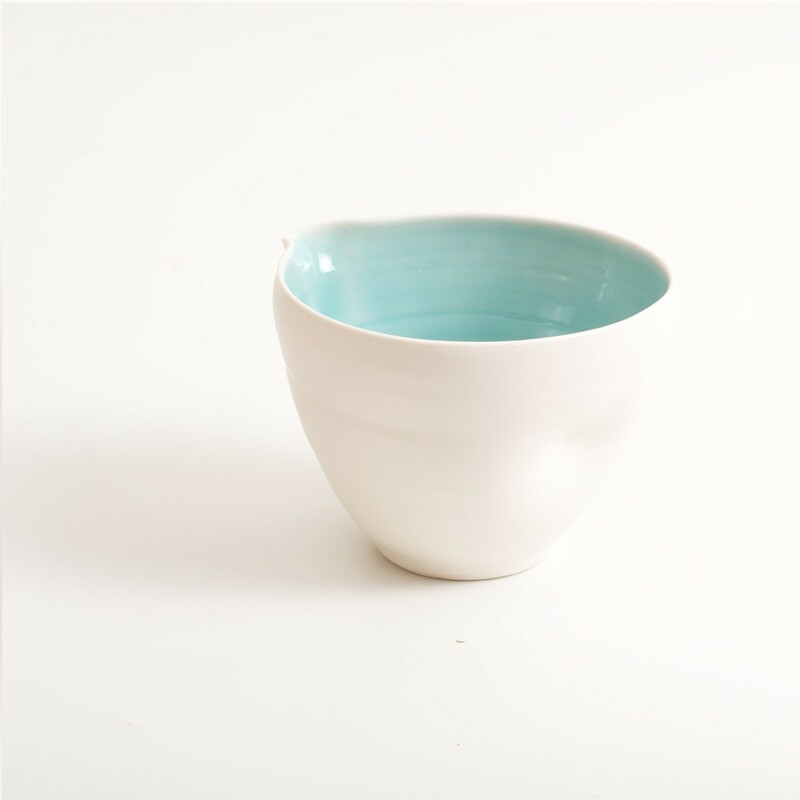 The nest of three or four porcelain bowls comes in pale blue, turquoise, grey or pink on the inside, with a tactile satin matt glaze on the outside. Linda Bloomfield hand throws these pottery bowls in porcelain on her potter’s wheel. The tactile dimples in the pouring bowl are made while the clay is still soft. The dimples act like handles, making it ideal as both a bowl and a jug. Linda’s beautiful signature coloured glaze is visible on the inside of each bowl. The unique coloured glazes are homemade to Linda’s own recipe, inspired by semi-precious jewels aquamarine, citrine, rose quartz and smokey quartz. The colours are reminiscent of sunset shades. The small bowl is ideal for cream or condiments. The larger size is great for cooking and whipping, or preparing your favourite pancake batter. If you select the smaller pottery bowls nest, the large turquoise bowl is not included. Linda’s dimpled range in delicate colours looks beautiful together. Click here to see all her tableware and homeware.